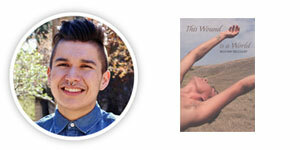 Scott Griffin proudly presents the 2018 #GriffinPoetry Prize winners: Billy-Ray Belcourt for This Wound is a World (Canadian) and Susan Howe for Debths (International). The awards ceremony, attended by some 320 invited guests, was held in the Fermenting Cellar in The Distillery Historic District. Scott Griffin, founder of the prize, and trustees Mark Doty, Carolyn Forché, Marek Kazmierski, Michael Ondaatje, Jo Shapcott, Karen Solie and David Young hosted the event where the guests enjoyed readings by Ana Blandiana and her translator Viorica Patea, The Griffin Trust For Excellence In Poetry’s 2018 Lifetime Recognition Award recipient, a recitation of Wayde Compton’s ‘Illegalese: Floodgate Dub’, by Hamish Marissen-Clark, a 2018 national winner of Poetry In Voice/Les voix de la poésie, and a speech by August Kleinzahler, winner of the 2004 International Griffin Poetry Prize. The judges for the 2018 Griffin Poetry Prize are Sarah Howe (UK), Ben Lerner (US) and Ian Williams (Canada). These distinguished writers and poets each read 542 books of poetry, received from 33 countries around the globe, including 17 translations. 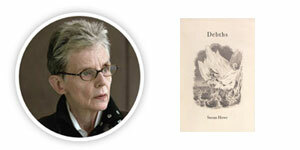 The trustees of The Griffin Trust For Excellence In Poetry select the judges annually. On June 6 the poets read excerpts from their books at the Shortlist Readings to an audience of 1,000 people, in Toronto in Koerner Hall at The Royal Conservatory, TELUS Centre for Performance and Learning. Trustee Carolyn Forché presented each poet with a leather-bound edition of their book and $10,000 for their participation in the Readings. During the evening, The Griffin Trust For Excellence In Poetry’s 2018 Lifetime Recognition Award was presented to Ana Blandiana, the most highly-acclaimed contemporary Romanian poet, whose stature is comparable to that of Anna Akhmatova in Russian, or Václav Havel in Czech, literature. A prominent opponent of the Ceausescu regime, her daring, outspoken poems, along with her courageous attitude in the defence of ethical values, has made her a legendary figure in Romanian literature. She suffered various reprisals and prohibitions under two Communist dictatorships, and three bans on her writing (1959-64, 1985, 1988-89). Over the years, her works have become symbols of an ethical consciousness that refuses to be silenced by a totalitarian government. Trustee Jo Shapcott paid tribute to Ana Blandiana and presented her with the award.